The word that inspired this project is Reinvent. "Start anew. Take a chance to create something remarkable." Daily Affirmation Cards and Booklet by Melissa Reyes. When I hear this word it immediately brought to mind a Butterfly. As the saying goes, "Just when the caterpillar thought the world was over, it became a Butterfly." Thank you for taking a chance to create this beautiful piece. 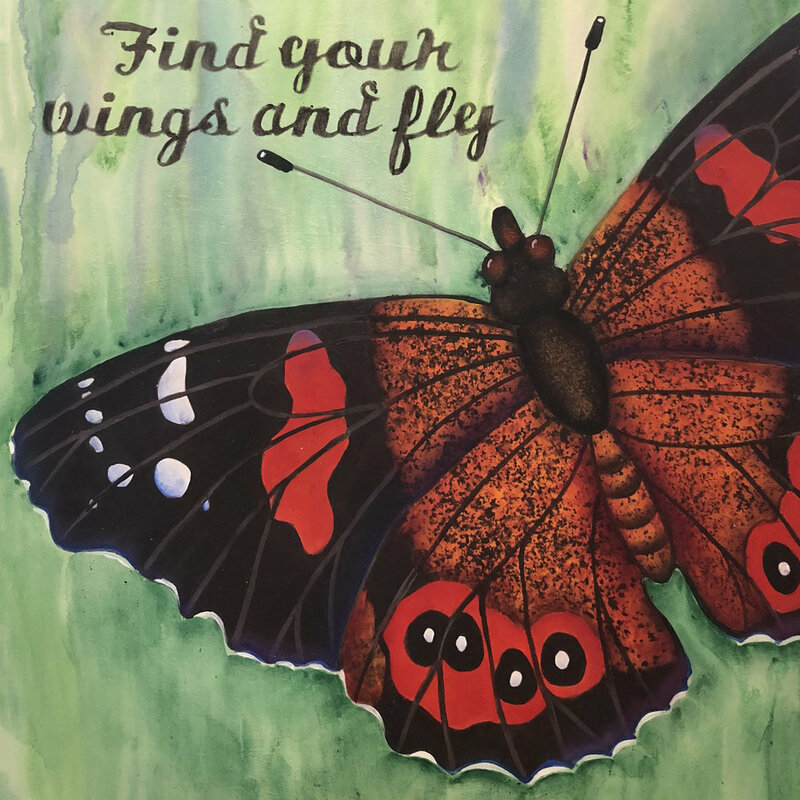 Grab your wings and let's paint!